Foliage has a silver metallic overlay to go with nice purple tones and reddish stems and veins. 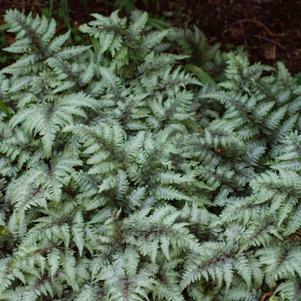 Plant it in dappled to full shade for the best color as too much sun has a tendency to bleach them out. Humus-rich, moist but well-drained soil.